Bottle evacuation is one of the major processes present in the packaging industry. Before any beverages, pharmaceutical or cosmetic products are packaged, the bottles are first evacuated of all oxygen, water vapor and other contaminants. The main concern for this requirement is to ensure the product is packed under hygienic conditions and the products’ quality is not compromised. At Airtech Vacuum Incorporated, we provide quality and effective vacuum pumps and blowers for all your bottle and packaging evacuation needs. When it comes to packaging fresh food, important measures have to be taken In order to avoid any contamination that may affect the quality and shelf life. For this reason, evacuation is needed in many packaging processes. In this case, a vacuum pump is used to drive out the air in the packet or container before sealing is done. Another example of evacuation is seen during the bottling of beer. When beer is being bottled, the amount of oxygen and yeast residue must be kept at a minimal. If excess oxygen is left in the bottle before filling is done, the taste and quality of the beer will be affected. After the bottles are evacuated, they are flushed with carbon-dioxide. This technique significantly reduces the consumption of carbon-dioxide since most of the oxygen has already been extracted. Brewers also use another method where bottles are flushed with carbon-dioxide, the bottles are then packed with the beverage using a long-tube filler. The long-tube filler is placed inside the bottle. The bottle is then flushed with CO2 before being packed with the beer. For this process, a larger amount of CO2 is needed. 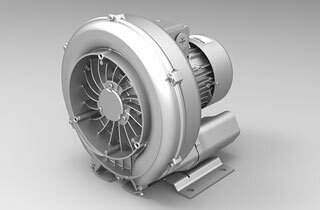 There are non-food products such as cosmetics, pharmaceutical, electronic parts and clothing products that also use vacuum pump technology during packaging and transportation processes. When packing these products, a vacuum pump is used to extract all air from the packaging. This ensures proper and safe transportation as well as maintaining high standards of hygiene for the product while en route. Why Choose Airtech Vacuum Incorporated for Bottle Evacuation? 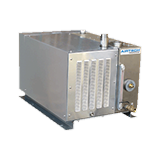 At Airtech Vacuum Incorporated, we carry a comprehensive range of vacuum and pressure technologies and solutions that is suitable for a great array of industrial needs, bottle evacuation included. We strive to ensure that our clients are always satisfied with the high quality services and products that we provide,. This is possible thanks to our long history of product and application knowledge. Our company was established in 1982. Regardless of the nature of your industry, you can rest assured that we can custom build any product you want, to your specific requirements. We are ISO 9001-2008, UL-, CE- RoHS-, and CSA- certified, so you can rest assured that we are one of the most reliable teams around. For any consultation or enquiry matters pertaining to our bottle evacuation solutions, do not hesitate to speak to our friendly representatives.